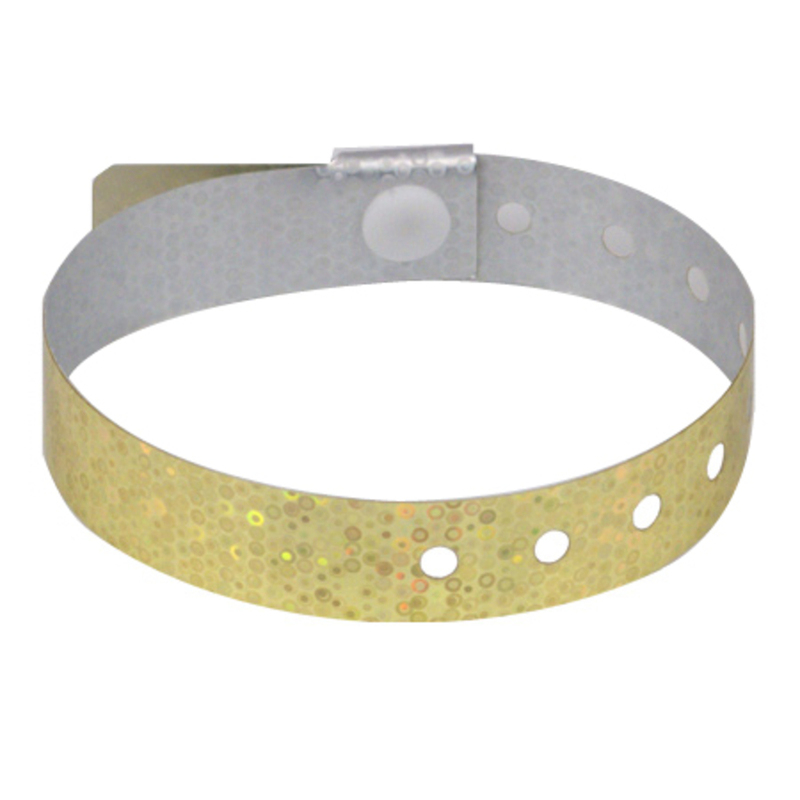 Our plastic gold holographic wristbands are the best-looking wristbands available. Great for V.I.P. guests at nightclubs, high rollers at a casino, or just a nicer wristband than our typical Tyvek wristband at any event. Holographic wristbands sparkle and shine in any light. If you're looking for a metallic wristband, holographic wristbands are the perfect choice. They're easy to use too, and take only seconds to place on the wrist of a guest. Just wrap it around the guest's wrist and secure using the plastic snap. One size fits all so you're never scrambling to find the right size. You can get people into your event very quickly. Order before 2pm ET / 11am PT and your gold holographic wristbands will ship out the same day.